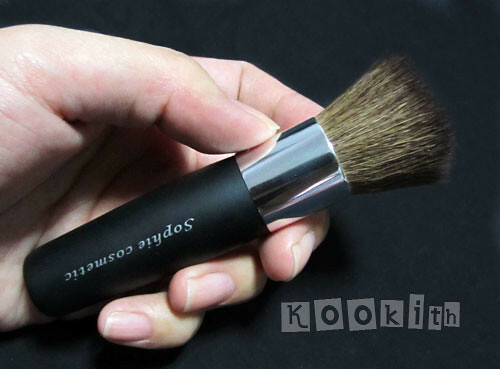 A brush typically used for mineral foundation. 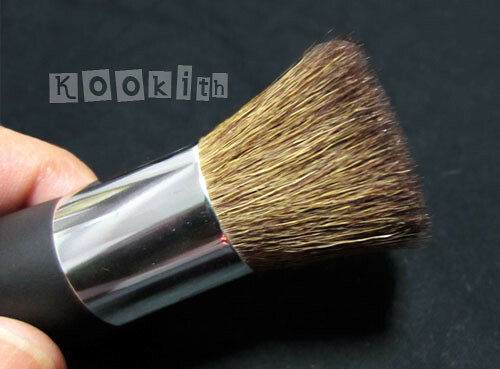 Blunt cut powder brush made from soft and dense high quality goat hair. Works well with mineral makeup to build foundation in sheer layers from light to heavier application where necessary. Flat top buffs away lines and seamlessly blends edges. Because Abbamart is owned by its supplier, you get true factory-direct pricing, just like the high-end brand names that buy and resell brushes under their own label. I have always loved synthetic brushes, and the synthetic (or Toray, as they call it) brushes offered by Abbamart are incredibly soft and of good quality. As the flat top brush did not have a Toray version, I decided to grab this goat hair flat top on a whim when it was on sale a few months back. As far as first impressions go, I was nicely surprised. 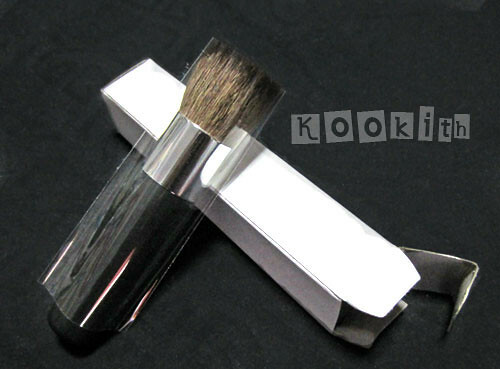 Many companies simply slip the brushes into a plastic sleeve and do not bother with a box. The brush is well-made and a good size. The natural wood handle is sturdy and its finish is sleek and smooth. I don’t use foundation so I can’t comment on how well the flat top buffs. I do use it for stippling and overall concealing, and I find that the brush is decent. The goat hair picks up powder and holds it in its bristles quite securely, so I didn’t have to deal with fallout on my clothes. Unfortunately, I did not like the goat hair fibres at all. It was spiky (or pokey?) and scratchy, a far cry from the wonderful Toray brushes I’m so used to. The brush was easy to wash, but once dry, the bristles flared out and I was left with what looked like a mini feather duster. I am hoping that Abbamart releases a Toray version of the flat top. I really love their ever-expanding Toray range, but I will not try their (or anyone else’s) natural hair brushes again. Note: I do apologise for the terrible photos. The lighting is all funky and I can’t seem to fix the colour imbalance. Abbamart is one of my favourite companies. Their customer service is fantastic, and Lana, whom I’ve corresponded with a few times via email, is really helpful and quick with replies. Their turn around time is fast and international shipping rates are very reasonable. They are also generous and I always receive a couple of extra items tucked into my package. Every shopping experience with them is a delight! I’m not a big fan of natural hair brushes either. I have a few, but I definitely prefer the synthetic ones. Yeah, synthetic ones all the way. They’re so much easier to wash too! Their prices have risen by quite a bit! I have wasted buying so many brushes at one go! Gals, don’t waste your $$! 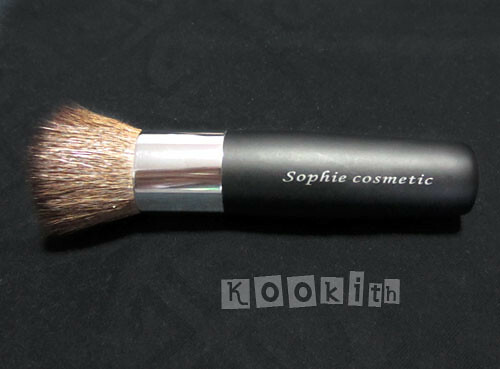 Abbamart brushes are of low quality, they are rough so do not use especially if you have sensitive or delicate skin. Moreover, all are of small handles, do not judge its sizes from the pic, its deceiving! Honestly, I do find Abbamart’s natural brushes to be very scratchy and horrid to use. Their Synthetic brushes, on the other hand, are fantastic. The Toray brushes are far superior than even the big brands, and I own many of them which I love.